The Dublin Simon Community have today (19 July) welcomed the Housing and Homeless Action Plan, Rebuilding Ireland, saying that the comprehensive plan will have a real and positive impact on the thousands of people who are being devastated by the homeless crisis. “This ambitious and detailed plan makes it clear that housing and homelessness is a top Government priority. Minister Simon Convey delivered today’s plan with a sense of urgency and his energy to solve the crisis was demonstrated though an number of initiatives including his commitment to publish quarterly updates on each action point in the plan and the establishment of the Housing Delivery Office in the DoE which will drive the plan . “For the first time we are seeing genuine cross department and agency partnerships in order to provide solutions for people who are homeless, with a particular emphasis on moving people out of homelessness and prevention measures to keep people in their own homes. Sam McGuinness went on to highlight significant areas in the report that will help to deliver homes and support to the 3,000 families and individuals that they work with each year. 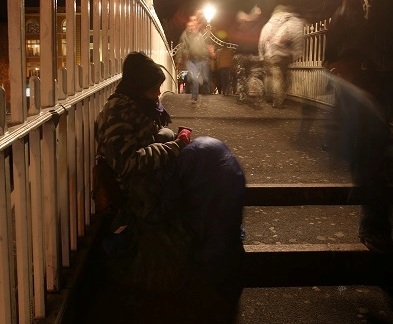 “As you walk the streets of Dublin, the numbers of people who are rough sleeping each night is very apparent. To tackle this, the Action Plan has tripled targets for Housing First teams in Dublin, from 100 currently to 300 tenancies in 2017. “We are also extremely encouraged by the increase in the target for social housing from 35,000 to 47,000 units, with a 40% increase in the social housing budget for direct builds by local authorities and Approved Housing Bodies. We also welcome the Innovation Fund for Approved Housing Bodies (AHBs) and the development of a Housing Delivery Office and a Housing Procurement Unit.